Sam Arnold – but for his efforts, Khalsa would have been on the end of a thumping. The dark side of Khalsa’s inconsistency issues were exposed on a blowy and frustrating afternoon in the East Midlands in one of the most disappointing performances of the season. Barely did Khalsa string together two passes all afternoon and were devoid of spark and energy as they were comprehensively outplayed by a Loughborough who belied their position in the bottom four of the division and ought really to have scored many more. Khalsa weren’t helped by a last minute switch to the starting line-up which saw Shawn Boothe replaced by Leon Miles, who has been recovering from serious illness, with just minutes notice. The lack of preparation was perhaps there to see within a minute when Miles and Khalsa keeper Sam Arnold had an almighty mix up which almost let in Daniel Collins to score. On five minutes, Arnold saved well from Connor Smith, stopping his low skiddy shot on the angle and four minutes later Jeremiah Dasaolu lashed a shot just wide of the post as the home side piled on the early pressure. Remi Birch was the architect of most of the small amount of positive action Khalsa put together, his run and cross on 15 minutes found Dan Westwood in the box but the striker couldn’t steer his effort on target. But it was the home side who were creating the most chances. Tes Robinson had to clear off the line to deny Collins on 19 minutes and two minutes later Smith had an absolutely golden opportunity to put his side ahead, putting wide from just yards out. The deadlock was broken on 25 minutes, Smith finding the ball in far too much space and given far too much time to push the ball past the onrushing Arnold to make it 1-0. 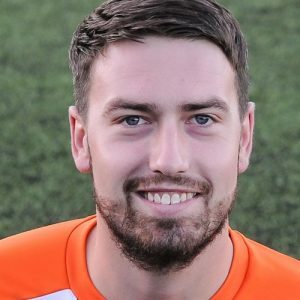 Westwood almost gave Khalsa an unlikely equaliser on 34 minutes, a freekick skidding off the damp surface and requiring Boro keeper George Hobbs to scramble it away. With three minutes of the half to play, Smith charged through on the break, only to go down far too easily under minimal pressure from a backtracking Miles to no avail, when he really ought to have got a shot away. The second half saw Khalsa achieve something resembling rhythm, although in truth it never looked likely that they would get themselves back into the game. Perhaps the fleeting opportunity came on 57 minutes, Boro defender Joel Bonner’s handball in the penalty area missed completely by the referee. Arnold produced a great stop on 67 minutes to deny Matty Crookes from point blank range after a fine run and cross by Smith. Less than a minute later and the lead was doubled as Smith was given all the time in the world to waltz through the defence and fire his second of the game. A third goal for the home side looked the most likely outcome, Matthew Olapo combined with fellow substitute Kel Akpobire to force another good stop by Arnold. Khalsa enjoyed something resembling a flourish upon the introduction of Sean Williams from the bench. On 78 minutes and 80 minutes he had first a shot across goal which almost found Robinson at the far post and then a decent effort which flashed wide. Sporting Khalsa: Sam Arnold, Carlo Franco, Remi Birch, Leon Miles, Tes Robinson (captain), Dave Meese, Liam Armstrong, Alex Perry (Sean Williams), Dan Westwood (Mykel Beckley), Gaz Singh (Jay Holdcroft), Josh Thomas. Subs not used: Adam Osbourne, Mensah Kinch.